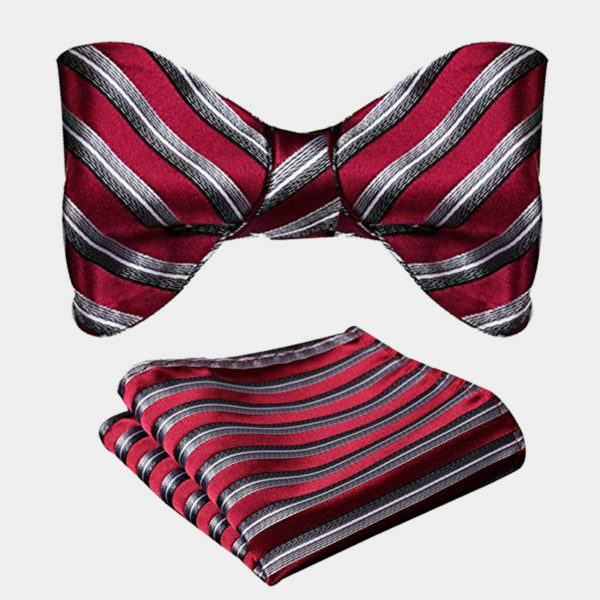 This eye-catching burgundy striped bow tie set helps you to stretch your wardrobe dollars further and adds color and interest to your accessory collection. 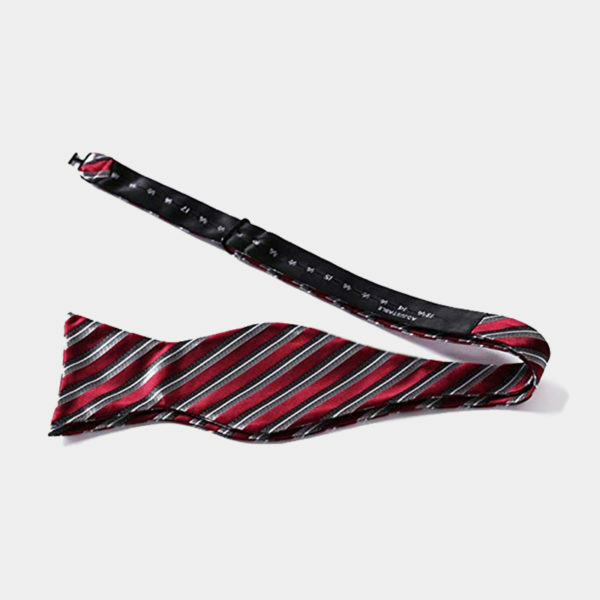 Change up your neckwear game and take yourself from basic man to gentleman without emptying your wallet. It is easy to inject some style and class into your wardrobe with this beautiful striped bow tie set. 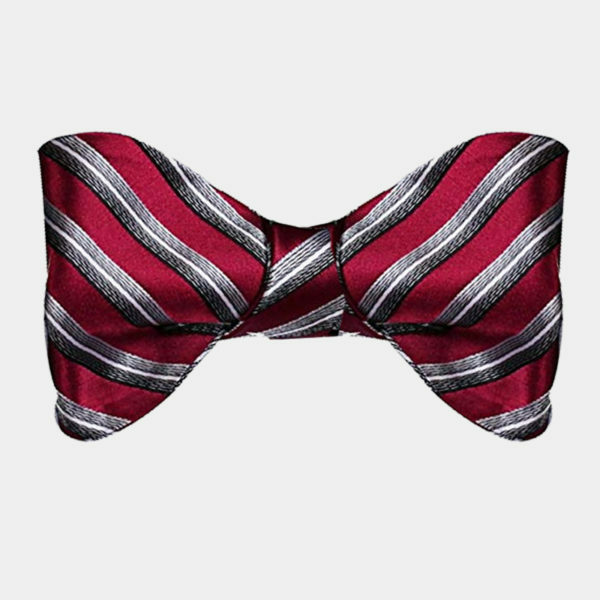 Handmade from high-quality 100% woven silk this burgundy striped bow tie set allows you to add an unexpected pop of color to your wardrobe. 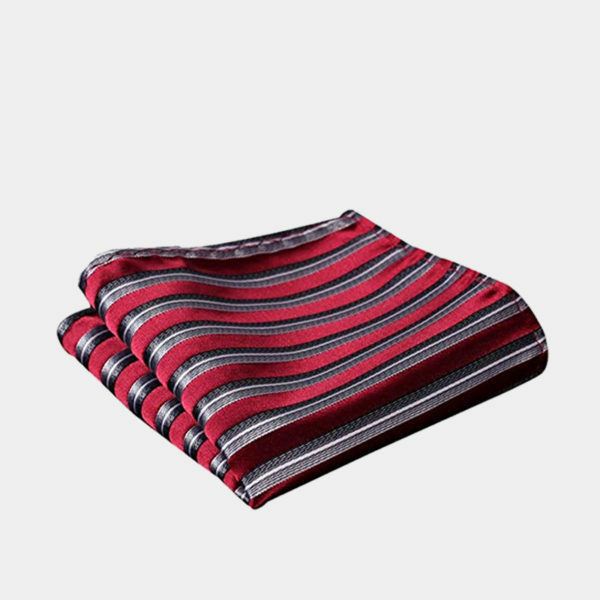 The classic striped pattern has pure rich colors that resist fading. 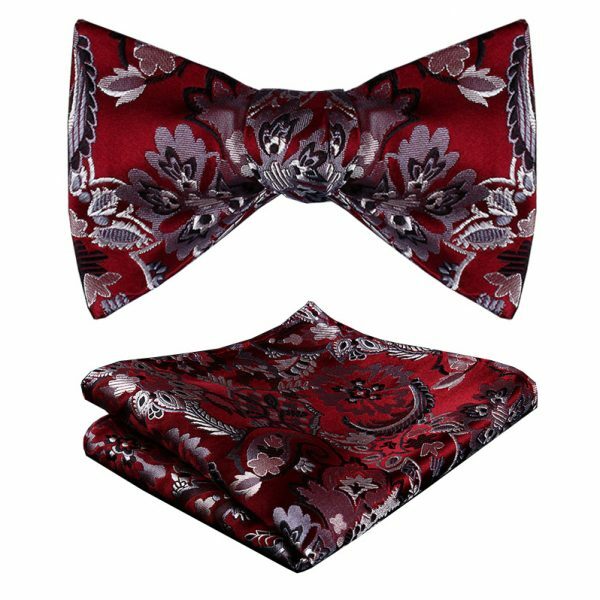 Each burgundy striped bow tie set includes one self-tie bow tie and one matching pocket square. 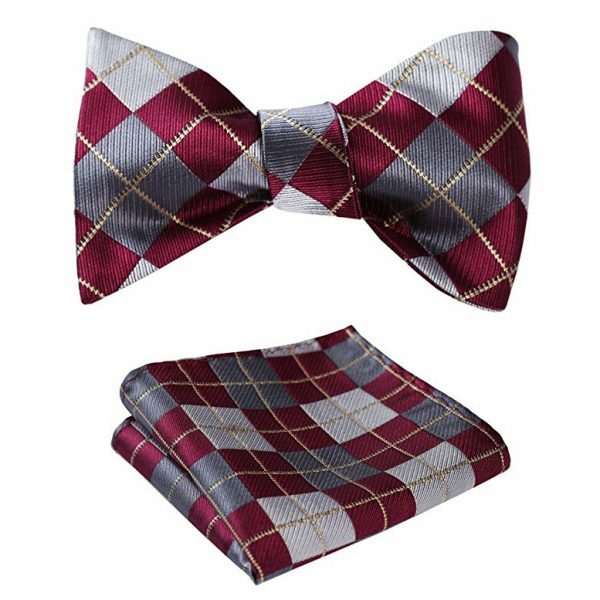 This burgundy striped bow tie set is the perfect addition to your everyday business suit or formal wear as well as elevating your casual looks. 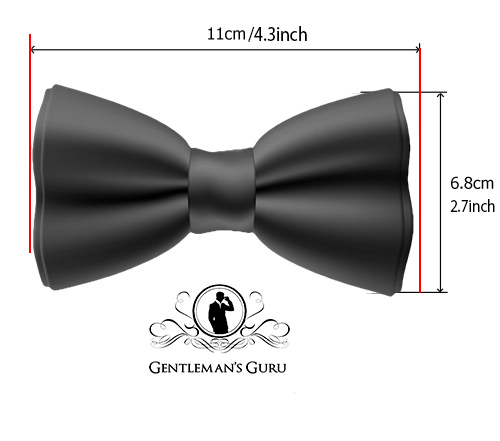 Whether you want to wear it all the time or just for that special occasion, this luxury bow tie set makes quite an impression. will make a great gift for the holidays, birthdays and Father’s Day so spoil yourself or someone you love today.